On Tuesday, I woke up excited because I submitted the final grades for my spring semester classes and it was my first day of summer vacation. I dropped the kids off at school and was planning to spend my day at Starbucks with my laptop. As I was driving to my destination, thoughts were oozing from my head and whenever I reached a traffic light, I busily scribbling my thoughts down, so they could not be forgotten. I was so inspired and could not stop giggling to myself as I was singing with the radio. Few moments into writing an introduction for my next blog post, a car speed toward me and had two passengers who were yelling words that I could not understand. As I stared at them to see what was wrong, they came closer to my car and threw garbage at my windshield. When I tried to speed away, they continued to chase me and threw more things out the window. As I turned to look at their faces, I was able to clearly understand their spirited words of “chink” spoken over and over. I was stunned. Were they talking to me? Had I done something to cause such anger? As I sat in my car and was digesting the events that may have lead up to this event, it suddenly dawned on me that I am who others perceive me to be. No matter how much education, skills, or how I try to form a new identity, I will always be labeled by my group identity. Growing up, I have had encounters that demonstrated how people viewed me as a racial type. When I had my first job at a college, my co-workers, who felt they knew me well, would try to genuinely connect with me by saying, “it reminded me of you,” and then talking about Karate Kid movies or a recent trip to the Asian portion of a museum. When I was in college, a good friend of mine who just finished Amy Tan’s Joy Luck Club, said she understood me and the Asian people better from reading the book. Martin Luther King Jr. wanted to be judged by his character rather than the color of his skin, but in these incidents, I was not judged by my character because it was only about the color of my skin or my image. 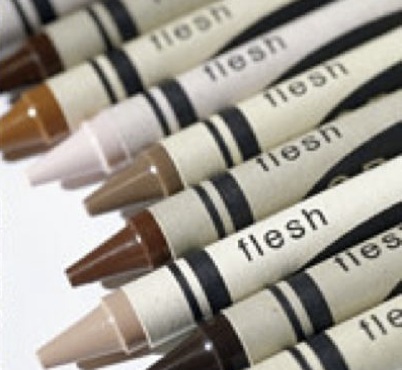 Some people believe skin color does not matter or they do not see color when they look at a person. Yet, look at churches that are heavily segregated or studies that show children perform better academically when they are taught by individuals of the same race. To shut one’s eyes to these truths is to ignore how minorities are the fastest growing group in America. When the issue of race is involved, people will often shape their information from their own experiences, family, culture, values, and beliefs. If one ever felt racism, he may believe that an individual, who comes off a certain way, is a particular type of person. Because of this, it may cause him to avoid or to make assumptions about a person and his situation. It can even be a seed of bitterness because he is so wounded by an offense. When this occurs, it takes root in the heart and can turn one of two ways. It can be acknowledged and forgiven, in which case the heart heals and becomes stronger than it was before, or it can go the other way, where the offense is unforgiven and grows into bitterness. This is dangerous because it can lead a person to become what wounded him. Michael Morris, a professor at Columbia University’s graduate school of business, has conducted fascinating research on culture and how others view different races. Professor Morris and his colleagues have found that people’s views operate like Transitions lenses: They activate, automatically, whenever they encounter triggers like pressure and stress. For this reason, they cannot be controlled, but can be managed through learning and asking questions that will help lead to the truth. When Morris showed a photo of a person standing in front of a group, the Asian executives concluded that the person standing alone was an outcast. This is because in Asian cultures, community is widely viewed as the key to success. When the same photo was shown to American executives, they concluded that the person standing alone was the leader. To Americans, individual effort is the key to achievement. Answers cannot be found until people acknowledge that various views exist when looking at race and culture. By doing this, hidden biases can be confronted and racial knowledge can be expanded. On the same note, since race is a controversial topic even if one is careful, someone can get offended from the discussion. In a culture where many do not consider the Bible, a moral compass, it is difficult to find agreement in what is right and wrong. Yet, instead of being guided by “Political Correctness,” Christians need to take a stand and be the salt of the world (Matt. 5:13) by preserving values and moral principles and making a contribution to the development of life. We are also to be the light of the world (Matt. 5: 14-16) by being torch bearers in this dark human race. Shining not to make ourselves look good in front of others, but so others will see our bearing of fruit, good deeds, and praise God. Julie Jung-Kim, is a professor who teaches courses in writing, research, communications, and Biblical Studies in the Chicago area. While finishing her M.A. in Ministry at Moody Theological Seminary, she continues to lead various mom groups and writes for her blog, www.morethanjustmama.wordpress.com. Julie is a member of Redbud Writers Guild (www.redbudwritersguild.com). She is happily married to her husband, Peter, and has two kids. She can be found on Twitter@JulieJungKim.